Do you feel a hint of autumn in the air? I certainly do, but then I have just been in the Scottish Highlands. Artisan's Square has just started an Autumn 6 Pac thread. This is where you sew 6 coordinating garments to form a capsule wardrobe. I have often thought of doing this but haven't got very far with it. I am going to have another go. When on holiday I went to the Harris Tweed Shop and purchased two designs to make two skirts. 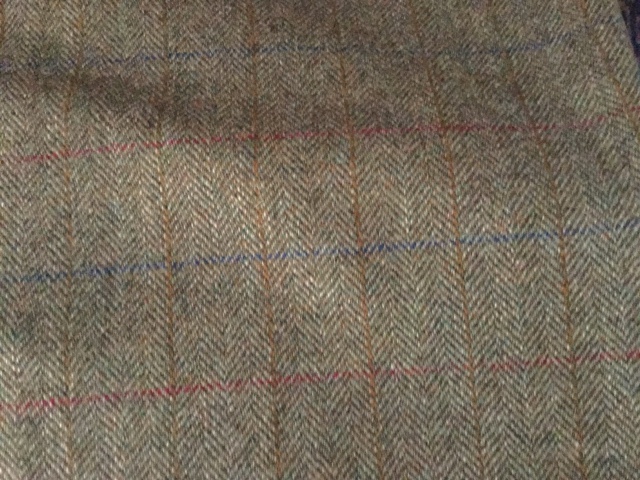 The first is the Lovat Tweed. 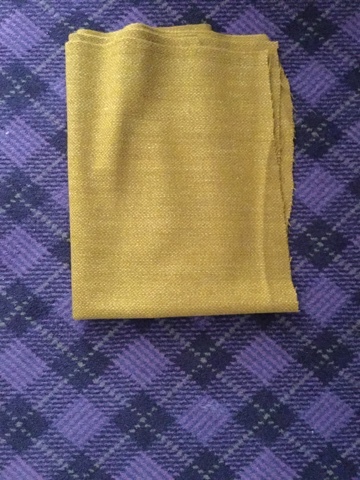 A lovely soft green herringbone with a windowpane check of burgundy, mustard and blue. The second piece is a wonderful rich mustard tweed. There was just 1 metre of fabric left of this and at 30 inches wide I am really going to have to eek out a short skirt. But I just loved the colour and the shop keeper let me have it at half price so I couldn't resist it. Harris Tweed is very expensive at £34 a metre when it is only 30 inches wide but this is because it is handmade. The shop buys directly from a weaver on Harris and I got a wonderful sense that I am supporting our textile industry by buying this fabric. Above this though is how wonderful the fabric is: wonderfully textured with a lovely loft. I just can' t wait to sew with it. I will only have enough of the mustard to make a basic short slightly A line skirt. I want to make Vogue 8835 Out of the Lovat tweed. I am not exactly sure what else I am going to sew for my 6 pack, I have an almost finished burgundy coat languishing in a carrier bag that would pick up on the Burgundy in the Lovat Tweed. I have been looking at the Joules and Barbour websites for other inspiration.